It’s Friday 8th June and the Euros are set to start today, the long wait is over and I’m feeling a little excited. Operation “cope without premiership” has moved into phase two if you are wondering phase one was the spluttering of pre-Euro friendlies we have witnessed recently but in my opinion international friendlies just don’t hit the spot. We as football fans need football that matters, games that have that life or death feeling. The friendlies are an excuse to iron out the mistakes and get sharp; the tournament is the time when the mistakes are unacceptable. Our wives and girlfriends dread this time of year; the odd jobs we have promised to do are placed firmly at the back of the list of importance. They will have to wait a little longer for that shelf to be put up; they might as well buy a brand new washing machine because we are not taking a look at the current one now. By the way no disrespect to the bona-fide football loving ladies, I know there are a lot of you and you will be enjoying the tournament as much as the next person. Now the added interest to the tournament comes in the form of the Arsenal players that will be representing their countries. Many past and present stars will be on show in the majority of the games to give gunners fans plenty to mull over. We also have a category of potential former players which gunners fans will be divided over supporting through the competition. And a final category of potential signings, gooners across the land will turn into scouts and run the rule over the players linked with moves to Arsenal and give their assessment of those players and hope Wenger is taking note on Twitter. 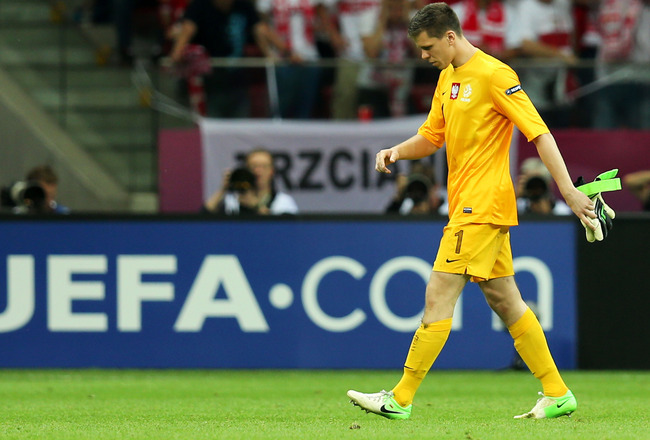 POLAND: Szczesny (current). Our current number one will be playing between the sticks for Poland. He has earned his plaudits whilst playing for his country and now on the grand stage hopefully he can show what he can do. Will be a major boost for his confidence to have a good tournament and will benefit Arsenal in the long run. RUSSIA: Arshavin (could be going). Our Russian no.23 will be captaining his country and will hope to have a good competition. He seems likely to move on after the Euros so expect him to have extra incentive to impress potential suitors. CZECH REPUBLIC: Rosicky (current). Super Tom will also be captaining his country at the Euros. Given his form towards the second half of the season for Arsenal it will be nice to see him carry that form into the Euros and have a good tournament. 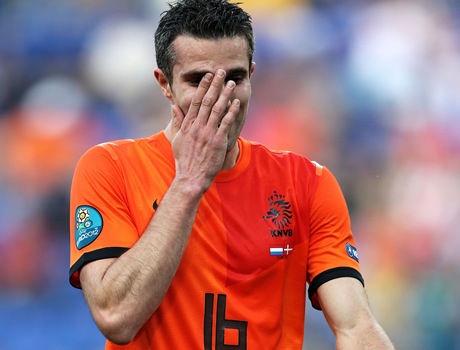 NETHERLANDS: Van Persie (could be going) our skipper will be going into the tournament after a fantastic season for Arsenal. His confidence will be sky-high so his contribution in the tournament could be that final piece of the puzzle that can push Netherlands towards success. With his future put on hold until after the Euros many AFC fans will be backing Robin for success. DENMARK: Bendtner (could be going) The big Dane looks to have one foot out the door, after spending the season out on loan and vowing not to return to Arsenal. Reception from Arsenal fans will be mixed. GERMANY: Podolski (current) a great chance to have a good look at our acquisition on the big stage. We have all seen what Podolski can do in previous tournaments but this time as an Arsenal player there will be more interest in his actual play and how it can fit in at Arsenal. Mertesacker (current) the tall German will be coming into the tournament on the back of a long-term injury. Hopefully he is back fully fit and has a good tournament. SPAIN: Fabregas (former) Former skipper, some may wish him well, some don’t really care. I’ll still have an interest in him but not too bothered how he does. CROATIA: Eduardo (former) Dudu is still liked by many Arsenal fans and it’s still quite sad it ended the way it did after his horrific leg break. What’s good is he got his career back on track and I would like to see him have a good tournament. FRANCE: Koscielny (current) Our Kos is coming into the tournament on the back of a great season at Arsenal. He improves with each game he plays and has worked his way into Laurent Blanc’s plans. Clichy (former) nothing against Gael, hope he has a good tournament if he can dislodge Patrice Evra from left back slot. Giroud (Scout watch). Let’s see what the striker can do, he has impressed in recent friendlies. M’villa (Scout watch). Another we will anticipate to see on the big stage if he overcomes his ankle injury. ENGLAND: Oxlade-Chamberlain (current) hopefully the Ox has a good tournament for an injury ravaged England squad. He has nothing to fear going into the tournament and if used right by Roy Hodgson should have a positive impact on the team. Walcott (current) this will be Theo’s first proper tournament. After being swept into the England squad for the 2006 world cup and was unused, he was then left out of the 2010 world cup squad by Fabio Capello. Theo will need to use this tournament to make up for lost time. SWEDEN: Larsson (former) Former player Sebastian should star for the Swedes this tournament. Never quite made it at Arsenal before deciding on taking his career elsewhere. Amazing dead ball skills, will be interesting to see if he scores any trademark free kicks at the Euros.